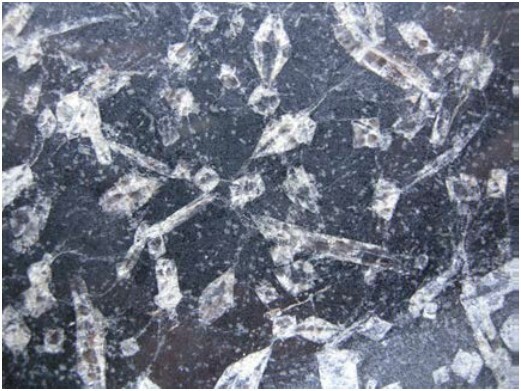 Kerphalite™ KF (Hüttenes-Albertus Chemische Werke GmbH) is a natural material based on Andalusite. Andalusite was first identified in 1798 and named after the Spanish province, Andalusia, though later this location turned out to be untypical for the mineral. 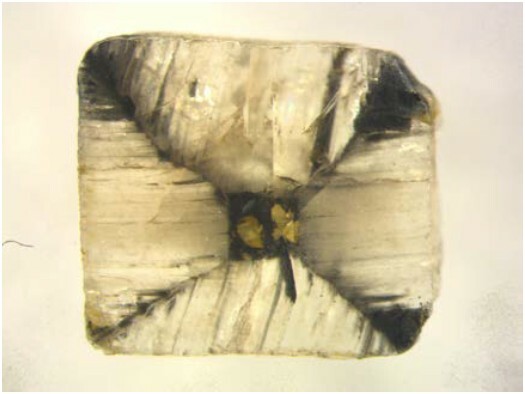 In terms of its chemistry, Andalusite is an aluminium silicate (Al2SiO5), which crystallizes in the orthorhombic crystal system and usually develops elongated, prismatic crystals with a square cross-section (Fig. 1 and 2). Kerphalite KF has a low density (similar to silica sand) and can be used in pure form or as blend with silica sand, as required. 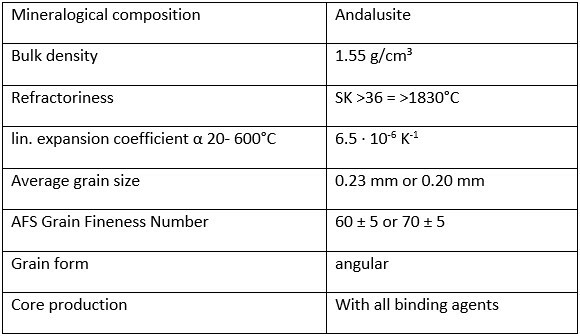 When blended, the share of Kerphalite KF should be between 30 and 100 percent. In this way, the user is able to adjust the sand blend to be both cost-effective and process efficient. The special moulding material is easily processable with all common binder systems. It is suitable for the Cold-Box (Fig. 3) as well as for the shell moulding process or the furan resin processes, in iron as well as in steel castings. 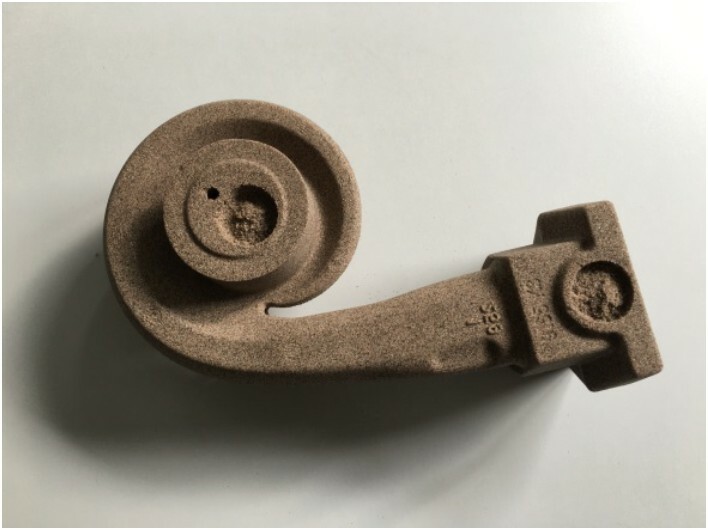 Kerphalite KF has also been used for 3D printing cores for over ten years.